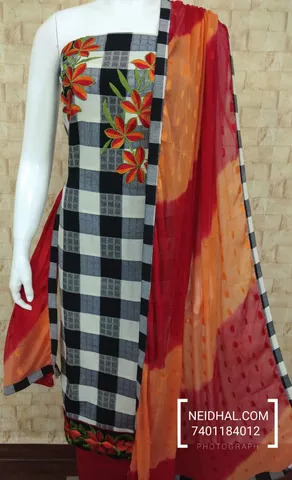 Checked Cotton unstitched Salwar material with embrodiery work on yoke, daman patch, red cotton bottom, Dual color chiffon dupatta with tapping. 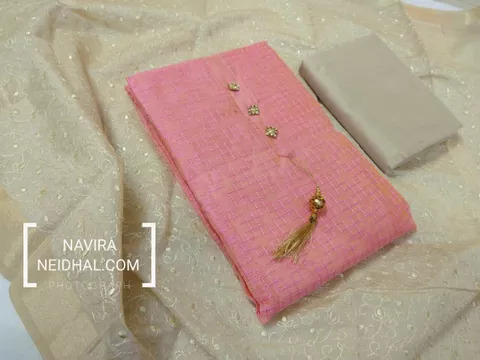 Designer Embroidery Pink Slub Chanderi unstitched salwar material with fancy buttons and tassels on yoke, Beige Silk cotton bottom, beige embroidery silk cotton dupatta with tassels. 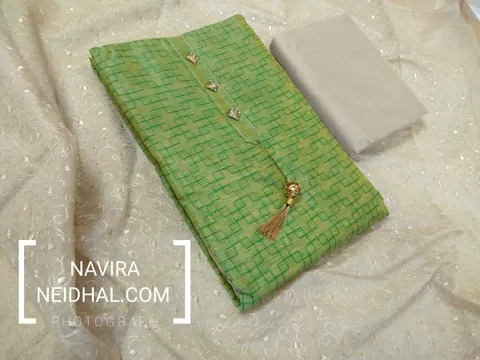 Designer Embroidery Green Slub Chanderi unstitched salwar material with fancy buttons and tassels on yoke, Beige Silk cotton bottom, beige embroidery silk cotton dupatta with tassels. 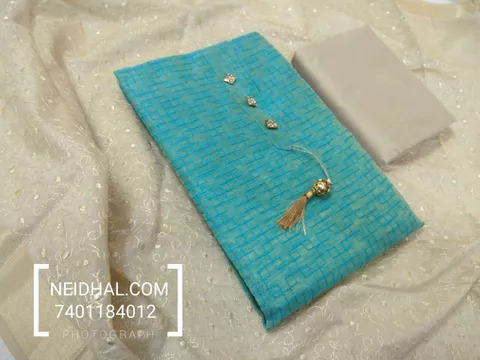 Designer Embroidery Blue Slub Chanderi unstitched salwar material with fancy buttons and tassels on yoke, Beige Silk cotton bottom, beige embroidery silk cotton dupatta with tassels. 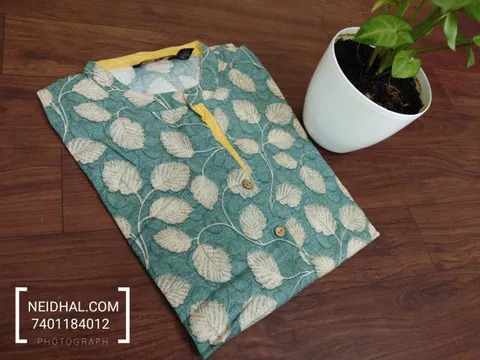 Leaf Printed Greyish Blue Soft Modal Kurti(Refer 3rd picture for measuring your fitting size, No Refund, No exchange, No cancellation), Mandarin Collar, Height 44, 3/4 Sleeves, high- low curved hem, front and side slits. 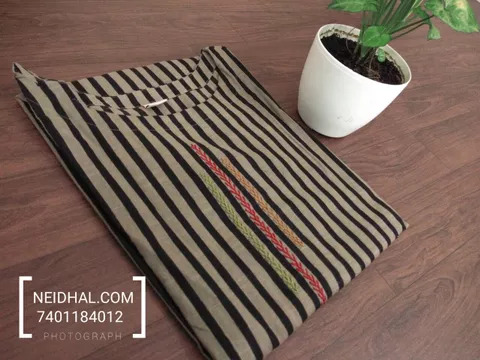 Designer Dark Beige and black striped Slub Cotton kurti, Hand Embroidery on yoke (Refer Size chart, 3rd pic before ordering, No Refund, No Return, No exchange, No cancellation), Round neck, Height 47, 3/4 Sleeves. 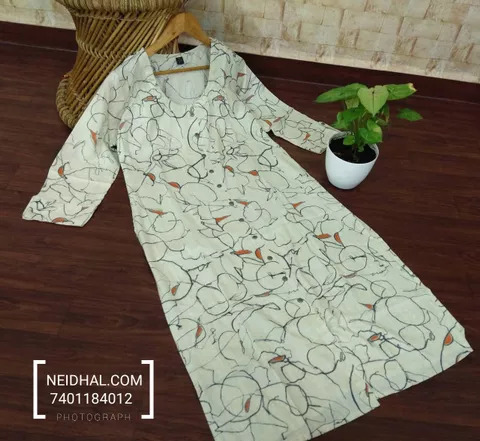 Printed Half White Soft Modal Kurti(Refer 3rd picture for measuring your fitting size, No Refund, No exchange, No cancellation), Round neck, Height 42, 3/4 Sleeves, front and side slit. 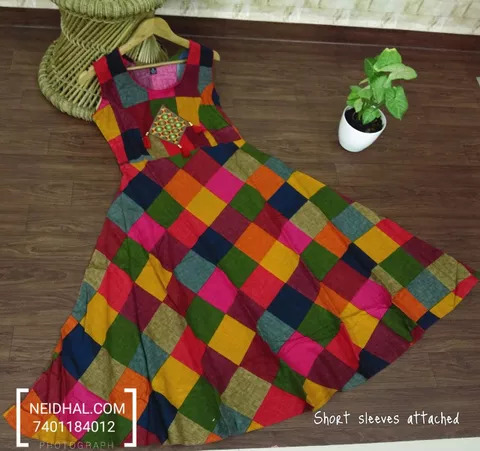 Designer Multicolor Flared Modal kurti, Embroidery and tassels on yoke (Refer Size chart, 3rd pic before ordering, No Refund, No Return, No exchange, No cancellation), Round neck, Height 47, short Sleeves attached. Yellow Rayon Kurti(Garment Bust size 44, Height 45 Refer pics for measurement, No Refund, No exchange, No cancellation) with potli buttons on yoke, 3/4 sleeves. Yellow Rayon Kurti(Garment Bust size 42, Height 45 Refer pics for measurement, No Refund, No exchange, No cancellation) with potli buttons on yoke, 3/4 sleeves. 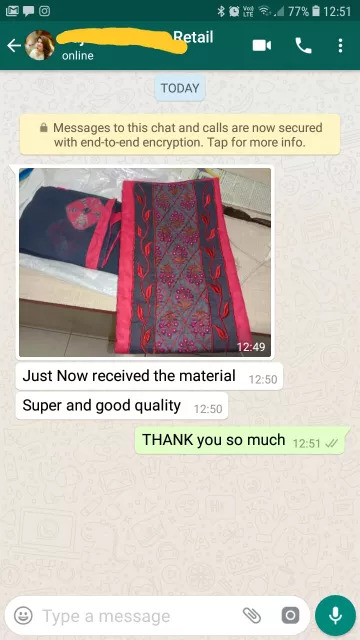 Printed Grey, Turquoise Blue Cotton Kurti(Garment Bust size 42, Height 41 Refer pics for measurement, No Refund, No exchange, No cancellation) with short sleeves. 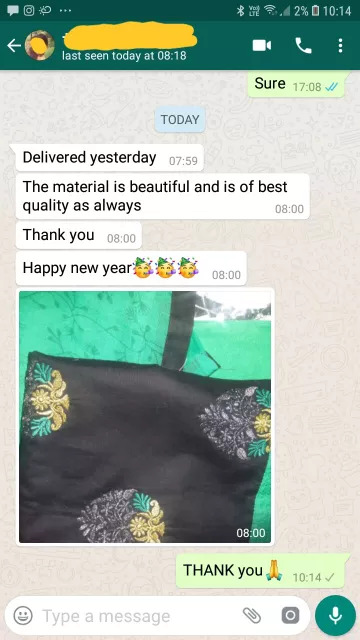 Printed Grey, Turquoise Blue Cotton Kurti(Garment Bust size 38, Height 40 Refer pics for measurement, No Refund, No exchange, No cancellation) with short sleeves. 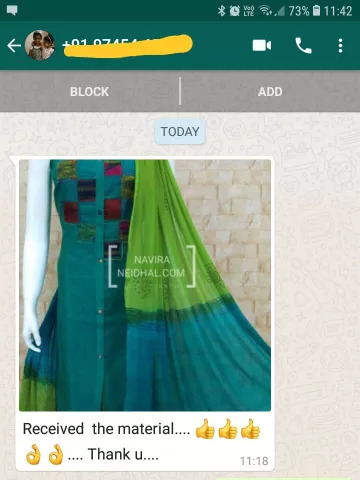 Neidhal brings you an Exclusive collection of Unstitched Salwar Suits at a Very Affordable Price. Sourced directly from Manufacturers across india, we assure you that, we have the best of the materials across various ranges. From the Chanderi's of Madhya Pradesh, Gawal's of Andhra Pradesh, Hand Block Cotton's from Jaipur, Bhagalpuri Silk's from Bihar, Bhandini's from Rajasthan, The Aaari's, Appliq's, Kalamkari's, Batik's, Oragnic's we have it all.